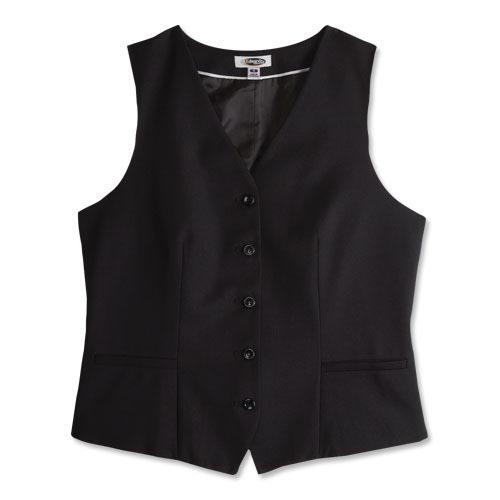 Stylish and professional, this classic high-button vest makes a great addition to your work wardrobe or corporate apparel program. The lightweight weave offers natural stretch and comfort along with a flattering, feminine fit. Embroiders well and is easy to wash at home.